Brandon is interested in the evolution of the upper lithosphere along continental rifted margins. He is currently using marine wide-angle seismic data from the Eastern North American Margin Community Seismic Experiment to characterize seismic anisotropy in the upper mantle produced by crystal fabrics formed during Jurassic rifting. 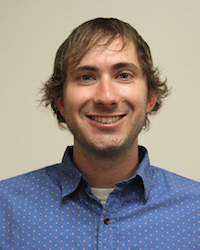 Recently, through a combination of velocity analysis and petrological modeling, Brandon has also investigated the composition of lower oceanic crust to explore mantle-melting conditions that affect the thickness and composition of crust during its formation.